A little more than a week ago I wrote a commentary titled “Buy A House With Silver”. As I said at the time, there were two purposes in writing that commentary. First of all, with the nominal prices of the bankers’ fiat-paper increasingly meaningless, I pointed out that people needed to start valuing hard assets against each other (directly), and simply exclude our rapidly depreciating paper from these valuation comparisons. Secondly, I pointed out the enormous potential for profit if people simply remain aware of the value of various assets relative to each other. Specifically, I noted that investors had been presented with one of the “best arbitrage opportunities in history”: buying grossly undervalued silver today, and then using that asset to purchase a home a few years down the road – when the prices of (overvalued) real estate will have fallen back to reality. This is such an important topic that there is much more which can be said about it. 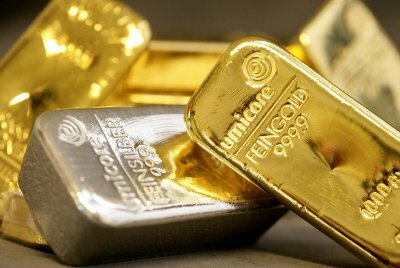 In this piece, I will explain to people how staying on top of the price ratios between gold and oil, silver and oil, and silver and gold will allow us to make much better buying/selling decisions on the gold and silver miners, as well as making more optimal decisions in allocating our bullion dollars between gold and silver. Let me begin with a general investing principle with these miners, for newer readers who haven’t read this previously. Energy costs (in general terms represented by the price of oil) are the second largest input expense for the miners, behind only the cost of labour. Thus when the price of oil rises faster than the price of bullion the miners tend to become less profitable, and when the price of bullion rises faster than the price of oil the miners tend to become more profitable. We see this principle directly translated into the share price of the miners again and again. In 2008, before the “crash” when commodities were reaching record-shattering prices, the price of oil was over $140/barrel, while the price of gold was below $1000/oz and the price of silver was below $20/oz. In relative terms oil was a crushing expense for the miners with these prices, and thus the share prices of the miners were sagging even before Wall Street unleashed its massive ambush. The price of oil collapsed by close to 80%. The price of silver was knocked-down nearly 60%. The price of gold was only pushed down a little over 20%. The miners became more profitable – especially the gold miners. Further, the prices of gold and silver bounced back much faster than the price of oil, improving those relative prices even further in favor of the miners (i.e. increasing their profit margins even further). Meanwhile, the share prices of the miners (which had been pushed down by 80 – 90%) then exploded upward, with the entire sector being nearly a “ten-bagger” in the following 18 months. Flash ahead to the summer of 2011 and what do we see? Once again the share prices of the miners are very depressed in comparison to the price of bullion. More importantly, the share prices of the miners are even more depressed when we factor in the price of oil. Let’s look at the individual dynamics. While some will argue that our weak markets mean that even better buying opportunities await with these miners, I see this attitude as reflecting pure greed. It is inevitable that the gold miners (and silver miners) will “decouple” from other classes of equities – with the decoupling of the gold miners being imminent. We have more “liquidity” sloshing around in our markets than at any other time in history, thanks to the criminal money-printing/currency-dilution of the banksters. At the same time, the gross mismanagement of our economies by these same bankers (via their political servants) has eliminated any/every safe home for all of this capital, one by one – all except for the gold and silver sectors. Obviously those investors who buy into these precious metals miners before this decoupling takes place will prosper much more than those who wait until after it has become apparent (through another explosion higher in the prices of these miners). Given that people need a “safe home” for their capital today, this further illustrates the need for investors to reposition themselves sooner rather than later. The situation is somewhat more complex regarding the silver miners, however I will argue it is equally bullish. While the price of gold has soared in recent weeks, silver has merely drifted sideways – as the banksters were successful in slapping it down on the one occasion it started to move above the $40/oz level. Again, “we’ve seen this movie before”. What they “accomplished” with this was to destroy the supply of silver, while causing demand to permanently spike. And so we arrive in the summer of 2011. Despite a tenfold increase in silver off its multi-century low, silver inventories are completely exhausted – guaranteeing that the real rise in the price of silver hasn’t even begun. In such a scenario, holding silver bullion is an obvious “can’t miss” strategy. However, arguably the miners are an even better bet. It is a fact that commodity-producers provide (natural) “leverage” (over time) on the price of whatever commodity(s) they produce. This is a simple fact of arithmetic, and thus beyond dispute. With large (“real”) gains in the price of silver a certainty in the years ahead, the companies which provide investors with leverage on those price-gains will represent among the best investment opportunities for investors. As noted earlier, the recent dynamics for silver have been less bullish than for gold, both in absolute terms, and in comparison to the price of oil. In fact this is also part of a familiar pattern: gold leads, silver follows, and then passes gold. That pattern was true many years before silver inventories reached their current, critical levels – so obviously it is even more to be expected today. The propaganda-machine will tell you that there is a “reason” why silver has lagged the performance of gold recently: because it’s an “industrial metal”. Sadly, I lack the space to fully rebut this nonsense, so I will be forced to do so in an abbreviated manner. Both “investment demand” and “industrial demand” for silver have been exploding higher, with investment demand much more robust. In addition, the majority of “silver demand” consists of “investment demand”. Thus investment demand completely dominates the supply/demand equation for silver. Industrially, most of the uses of silver are in very small quantities, making silver demand very “inelastic” with respect to price. In other words, higher prices for silver have little impact on industrial demand. Furthermore, there are more new applications for silver-based technology coming onto the market than for any other metal. With industrial demand for silver rising rapidly (up nearly 20% in 2010), with that demand being very price inelastic, and with more uses for silver being devised every day, in any worst-case/meltdown scenario, the worst which would/could occur would be a single-digit drop in industrial demand. In comparion, investment demand for silver is guaranteed to continue rising in the high double-digits – because it remains the world’s most undervalued commodity. To summarize, in any worst-case scenario the demand for silver will continue to rise. With there already being a large supply-deficit, and with silver inventories nearly completely exhausted, this means we are nearing another price-spike for silver. The more weeks such an increase is delayed, the greater the “explosion” when it occurs. While this makes the silver miners more “speculative” than the gold miners, in return they (as usual) offer greater upside potential. This explains why we continue to advise our readers to hold a healthy balance in these miners between gold and silver. While I have discussed the individual dynamics of gold and silver versus oil, I have yet to discuss the gold/silver price ratio itself. Knowledgeable investors in this sector are already fully aware that this price ratio has averaged approximately 15:1 over the roughly 5,000 years we have mined (and coveted) these metals. Furthermore the “natural occurrence” of these two elements (in the Earth’s “crust”) is roughly 17:1, further reinforcing the accuracy of that long-term price ratio. Thanks to the destruction of global silver stockpiles by the relentless “shorting” and manipulations of the bullion banks, there is less above-ground silver in the world today in relation to the amount of above-ground gold than at any time in at least a thousand years. This massive distortion in the current availability of these two metals guarantees that not only will the price of silver rise up to that historic, 15:1 ratio, it is equally certain to surpass it – at least for the several years which would be necessary to rebuild global silver stockpiles. With current silver inventories continuing to fall even though silver is at nearly $40/oz, it is patently obvious that the silver supply-deficit could not possibly begin to reverse itself until the price of silver is somewhere above $100/oz. Given these extremely bullish dynamics for silver, versus the extreme reliability/stability of gold, I suggest that investors (especially newer investors) allow the gold/silver price ratio to guide them in allocating their dollars between gold and silver bullion. Specifically, the gold/silver price ratio should reflect the minimum percentage of one’s bullion dollars that they invest in silver. Thus if the gold/silver price ratio was 40:1, each investor would put a minimum of 40% of their dollars into silver. At a 50:1 ratio, such investment would be (at least) evenly balanced. While once silver climbs to a fair/healthy price versus gold (i.e. 15:1), then there is less of an argument to buy silver, and a minimum 15% of dollars going into silver would still seem prudent. Note that I do not suggest we adopt such a simple “formula” for allocating dollars between the gold and silver miners. Because there are other dynamics involved here, this would be too simplistic a strategy. With gold miners being much more numerous than silver miners (at least for a few more years), investors will likely find they hold a majority of gold miners – simply because there are a greater number of quality companies. To summarize, in general terms we can get a lot of investment guidance through continually monitoring the price ratios of gold, silver, and oil – three of our most important “hard assets”. More specifically, what these price ratios are currently telling us is that both gold and silver miners represent especially undervalued asset-classes today, with the probability of a “break-out” for these miners (higher) increasing by the day. With respect to bullion, current price-levels clearly favor silver, but not so radically that investors could/should completely ignore gold. If we remain cognizant of these ratios we have the opportunity to position ourselves “ahead of the herd”, and current investment potential in the precious metals sector has rarely been as promising as it is at this moment – throughout this entire 10+ years bull market. Take advantage of the relative values between asset-classes, avoid the use of “margin”, remain patient, and this should allow any/all diligent investors to prosper.